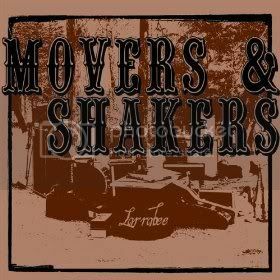 BACK IN TOWN - Wrapping up a series of East Coast tour dates with Larcenist, Movers & Shakers are back in Boston. 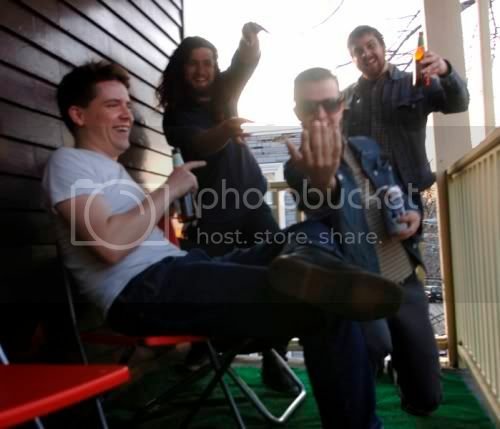 An indie rock fusion band, blending several musical influences (punk, Americana, soul, and of course - rock), the guys released the 12-track Larrabee album earlier this year. It's been in rotation at the RSL compound ever since. We just love the twangy musings of these blue collar, whiskey-soaked philosophers. I think you're about to find them to your liking too.. The band [Dan Wallace (bass) , Matt Price (guitar, vox), Marc Valois (vocals, guitar, vox, organ) , and Graham Stetler (drums)] have earned some very favorable comparisons to Lucero and My Morning Jacket over the last year, and won the hearts of new fans when they opened up for the Gaslight Anthem for their CD release. Local attention came in the way of a tap from the Boston Music Awards for their nomination of Movers & Shakers as the year's Best Americana Act.